1. Villavicencio RT, Aucar JA. Analysis of laparoscopy in trauma. J Am Coll Surg 1999; 189:11. 2. Rossi P, Mullins D, Thal E. Role of laparoscopy in the evaluation of abdominal trauma. Am J Surg 1993; 166:707. 3. Berci G, Sackier JM, Paz-Partlow M. Emergency laparoscopy. Am J Surg 1991; 161:332. 4. Fabian TC, Croce MA, Stewart RM, et al. A prospective analysis of diagnostic laparoscopy in trauma. Ann Surg 1993; 217:557. 5. Fernando HC, Alle KM, Chen J, et al. Triage by laparoscopy in patients with penetrating abdominal trauma. Br J Surg 1994; 81:384. 6. Townsend MC, Flancbaum L, Choban PS, Cloutier CT. Diagnostic laparoscopy as an adjunct to selective conservative management of solid organ injuries after blunt abdominal trauma. J Trauma 1993; 35:647. 7. Smith RS, Fry WR, Morabito DJ, et al. 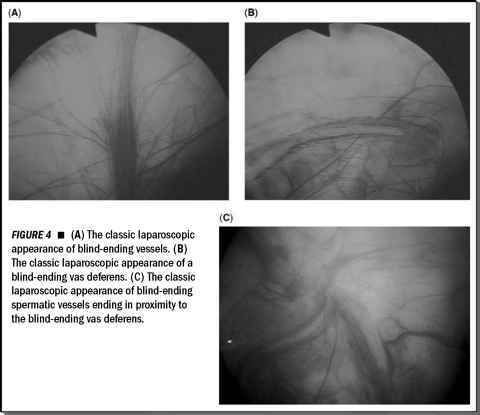 Therapeutic laparoscopy in trauma. Am J Surg 1995; 170:632. 8. Sosa JL, Sims D, Martin L, Zeppa R. Laparoscopic evaluation of tangential abdominal gunshot wounds. Arch Surg 1992; 127:109. 9. Zantut LF, Ivatury RR, Smith RS, et al. Diagnostic and therapeutic laparoscopy for penetrating abdominal trauma: a multicenter experience. J Trauma 1997; 42:825. 10. Chelly MR, Major K, Spivak J, et al. The value of laparoscopy in management of abdominal trauma. Am Surg 2003; 69:957. 11. Zantut LFC, et al. Laparoscopy as a diagnostic tool in the evaluation of trauma. Pan Am J Trauma 1990; 2:6. 12. Ivatury RR, Simon RJ, Weksler B, et al. Laparoscopy in the evaluation of the intrathoracic abdomen after penetrating injury. J Trauma 1992; 33:101. 13. Ivatury RR, Simon RJ, Stahl WM. Selective celiotomy for missile wounds of the abdomen based on laparoscopy. Surg Endosc 1994; 8:366. 14. Smith RS, Fry WR, Tsoi EK, et al. Gasless laparoscopy and conventional instruments. The next phase of minimally invasive surgery. Arch Surg 1993; 128:1102. 15. Smith RS, Fry WR. Alternative techniques in laparoscopy for trauma. Trauma Q 1994; 10:291. 16. Livingstone DH, Tortella BJ, Blackwood J, et al. The role of laparoscopy in abdominal trauma. J Trauma 1992; 33:471. 17. Sosa JL, Arrillaga A, Puente I, et al. Laparoscopy in 121 consecutive patients with abdominal gunshot wounds. J Trauma 1995; 39:501. 18. Sosa JL, Baker M, Puente I, et al. Negative laparotomy in abdominal gunshot wounds: potential impact of laparoscopy. J Trauma 1995; 38:194. 19. Ortega AE, Tang E, Froes ET, et al. Laparoscopic evaluation of penetrating thoracoabdominal traumatic injuries. Surg Endosc 1996; 10:19. 20. Dalton JM, DeMaria EJ, Gore DC, et al. Prospective evaluation of laparoscopy in abdominal stab wounds. J Trauma 1994; 36:149. 21. Kawahara NT, Zantut LFC, Poggetti R, et al. The value of video laparoscopy in penetrating abdominal trauma. Surg Endosc 1996; 10:188. 22. Smith RS, Meister RK, Tsoi EK, Bohman HR. Laparoscopically guided blood salvage and autotransfusion in splenic trauma: a case report. J Trauma 1993; 34:313. 23. Fabian TC, McCord S. Therapeutic laparoscopy in trauma. Trauma Q 1994; 10:285. 24. Grewal H, Ivatury RR, Divakar M, et al. A critical evaluation of diagnostic modalities used in the detection of occult cardiac injury. Injury 1995; 26:305. 25. Ivatury RR, Simon RJ, Stahl WM. A critical evaluation of laparoscopy in penetrating abdominal trauma. J Trauma 1993; 34:822. 26. Murray JA, Demetriades D, Asensio JA, et al. Occult injuries to the diaphragm; prospective evaluation of laparoscopy in penetrating injuries to the left lower chest. J Am Coll Surg. 1998; 187:626-630. 27. Spann JC, Nwariaku FE, Wait M. Evaluation of video-assisted thoracoscopic surgery in the diagnosis of diaphragmatic injuries. Am J Surg 1995; 170:628. 28. Ochsner MG, Rozycki GS, Lucente F, et al. Prospective evaluation of thoracoscopy for diagnosing diaphragmatic injury in thoracoabdominal trauma: a preliminary report. J Trauma 1993; 34:704. 29. Uribe RA, Pachon CE, Frame SB, et al. A prospective evaluation of thoracoscopy for the diagnosis of penetrating thoracoabdominal trauma. J Trauma 1994; 37:650. 30. Guth AA, Pachter HL. Laparoscopy for penetrating thoracoabdominal trauma: pitfalls and promises. JSLS 1998; 2:123.